Sarah joined 23andMe in the summer of 2016. She works on the Research team, using the 23andMe database to power new genetic discoveries and product features for 23andMe customers. Sarah is proud to work with the 23andMe Education team, but she also loves to learn — she credits her high school Biology teacher with kindling her love for science and science communication. 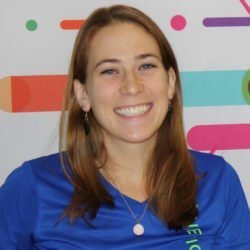 Before she worked at 23andMe, Sarah spent many years in school; she graduated from MIT with a BS in Biological Engineering in 2011, and from Johns Hopkins University with a PhD in Biomedical Engineering in 2016.